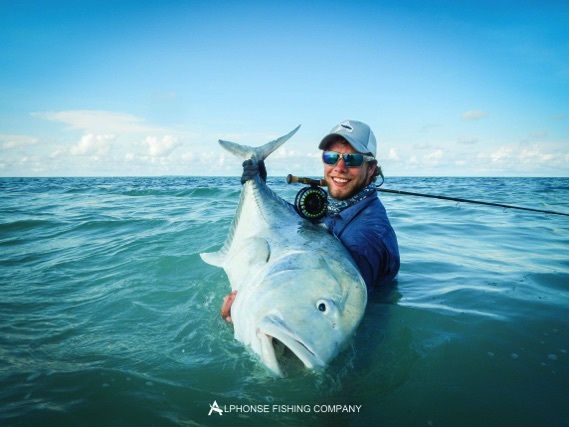 The fishing at St. Francois this past week has been nothing short of phenomenal. The amazing scenes witnessed by the guests and guide team will be remembered for the rest of their lives. The weather conditions were perfect but no one was prepared for the sheer spectacle of the events that were unfolding as the mothership entered St. Francois lagoon on the first morning. 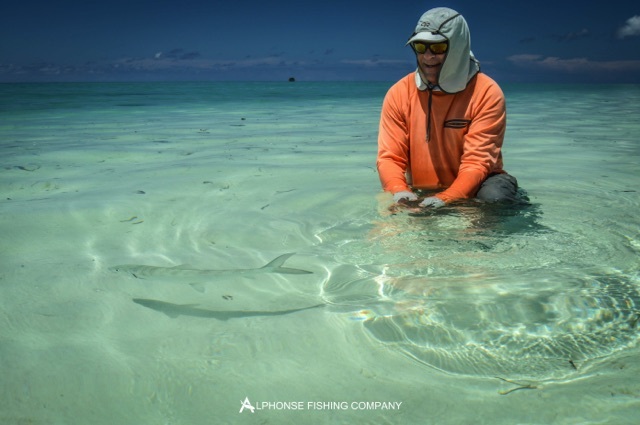 Millions upon millions of small baitfish had moved into St Francois atoll overnight creating a feeding frenzy. 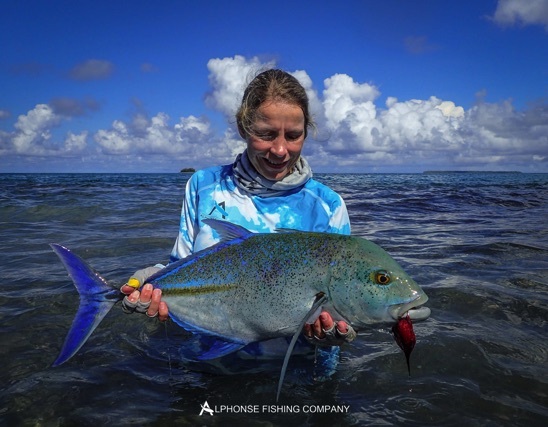 As the ship arrived onto mooring, frigatebirds and terns whirled overhead and dived into the water as hundreds of Giant Trevally chased and smashed into huge groups of baitfish. There were explosions of white water every few seconds, in every direction and as far as the eye could see. There was no time for briefings as everyone rushed to the skiffs and within minutes almost every guests first cast of the day went tight with a huge GT. Welcome to St Francois. 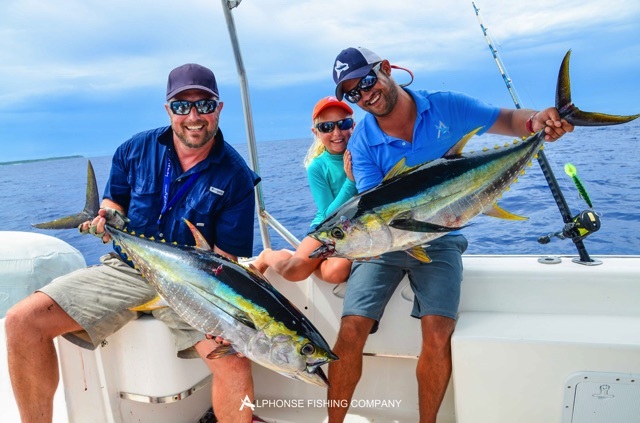 There isn’t enough space in this report for all the stories of everything that happened in the first few minutes of that day but by lines up, the group finished with eight GT’s landed and Robert Reed claimed the biggest fish of the season so far, stretching the tape to an impressive 121cm fork length. 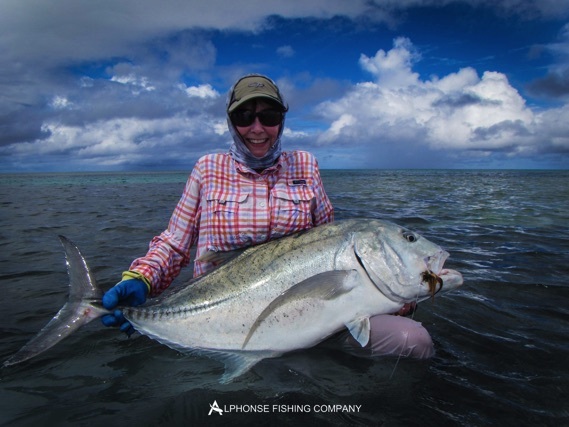 Bronwyn Groman also landed the biggest ladies GT of the week at 103cm. As the week progressed many memories were forged. 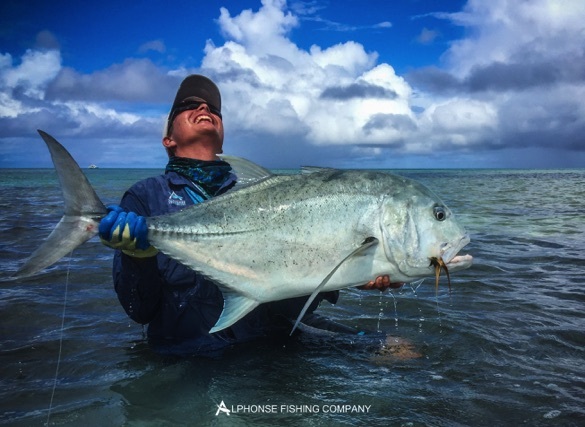 After years of trying and 15 visits to Alphonse Island, Mike Timms finally brought his first GT to hand. 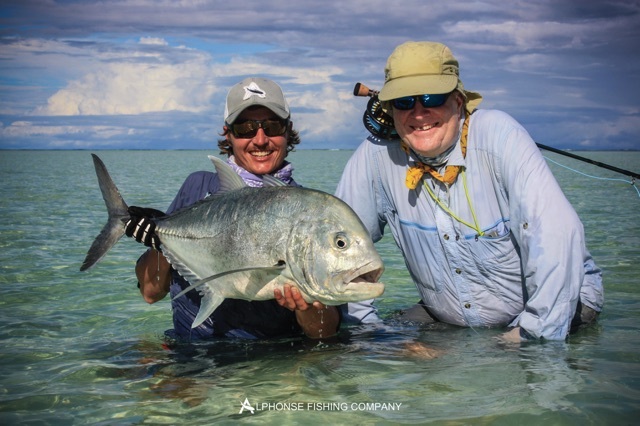 Not only did he land his GT but he went on to complete a ‘flats slam’ with a gorgeous Moustache triggerfish. There were another two ‘flat slams’ in the week as husband and wife Chris Bobby and Lianne Frost managed a ‘flats slam’ each on the same day. 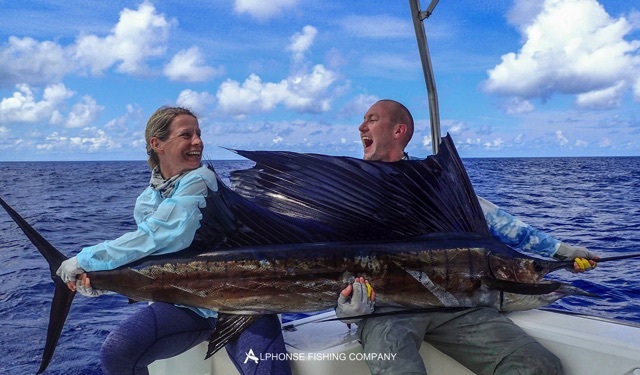 The slams kept on coming, Robert Reed landed his first Sailfish on fly and a late evening bonefish completed his ‘bills and bones slam’. 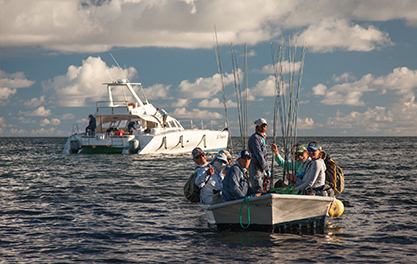 The GT madness continued with huge groups of fish moving through channels and patrolling the flats. 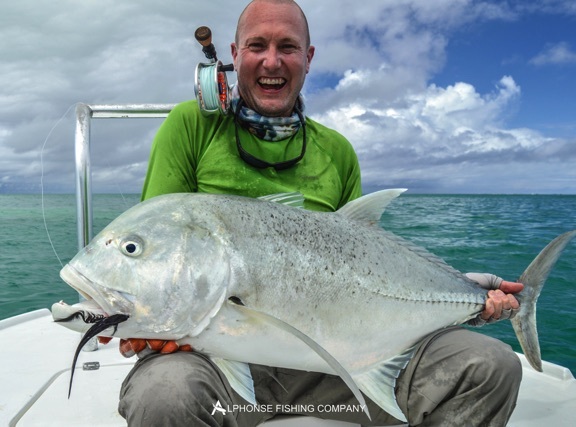 Carl Raath managed to catch at least one GT on every day including an amazing session where he landed 4! Spectacular fishing on every level. 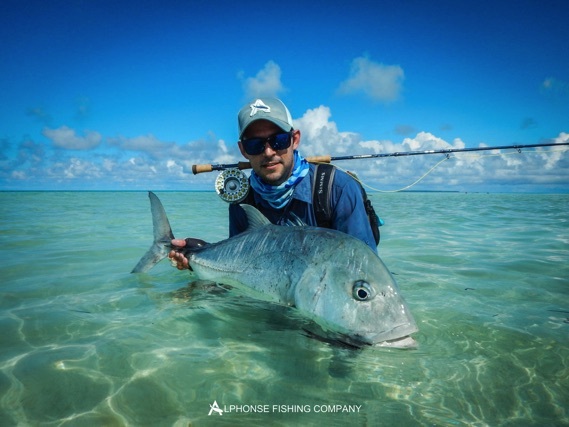 The atoll was truly alive and Graham Birkett managed a beautiful Yellowmargin triggerfish while Marcel Prot also brought a gorgeous Milkfish to hand. 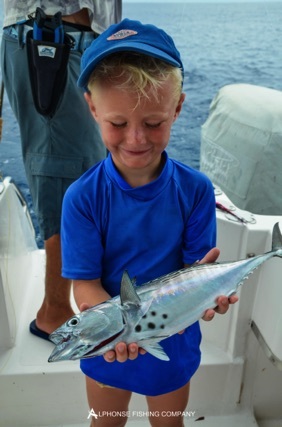 It was truly an astonishing week out on St. Francois and as the week wound down and the catches were tallied a total of 36 GT’s (a St. Francois record), four triggerfish, three Sailfish, one milkfish and 310 bonefish had been caught. Being part of this phenomenal experience is something that no one will quickly forget and the stories will continue to be told for many years to come.